Our products are specifically suited for a variety of commercial, industrial, and residential construction applications as well as roads and bridges. We are Southern Oregon's premier provider of ready mix. Savage Redi-Mix is a locally owned and operated family business for over 45 years. 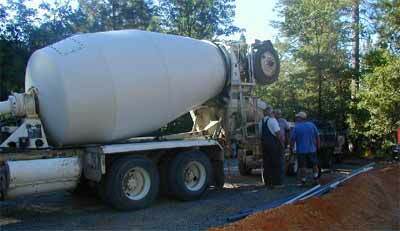 We specialize in residential, commerical, and industrial concrete ready mix. We are a division of Crater Sand & Gravel. We offer a variety of products for your property and/or landscape project. We are open 6 days a week for your convenience. 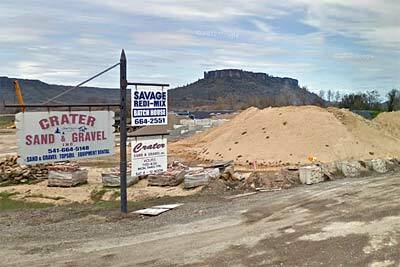 Welcome to Savage RediMix � a leading supplier of quality aggregates and landscaping materials in the Upper Rogue valley in Southern Oregon. Established in the 1960s, for over 45 years we are a successful third-generation, family-owned company that focuses on producing delivering exceptional service. Savage Redi-Mix offers only superior products and services to our customers. We truly believe the customer is always right, and our team of 21 employees makes customer service and satisfaction a number one priority. We cater to home builders, road builders, landscapers, developers, plumbers, contractors, individuals, and anyone else who needs sand and gravel. Savage Redi-Mix is your first choice and first stop for quality products and services including a liquid color system to tint concrete reds, blues, grays, and many other shades. Please browse our site to find out more about our company and our top quality services, competitive prices, and decades of experience. Discover the benefits that can be yours by partnering with Savage Redi-Mix. We are Southern Oregon's Sand & Gravel Aggregate Industry Leader. Contact us today at 541-664-2551. Copyright © 2014 - Savage Redi-Mix, All Rights Reserved.